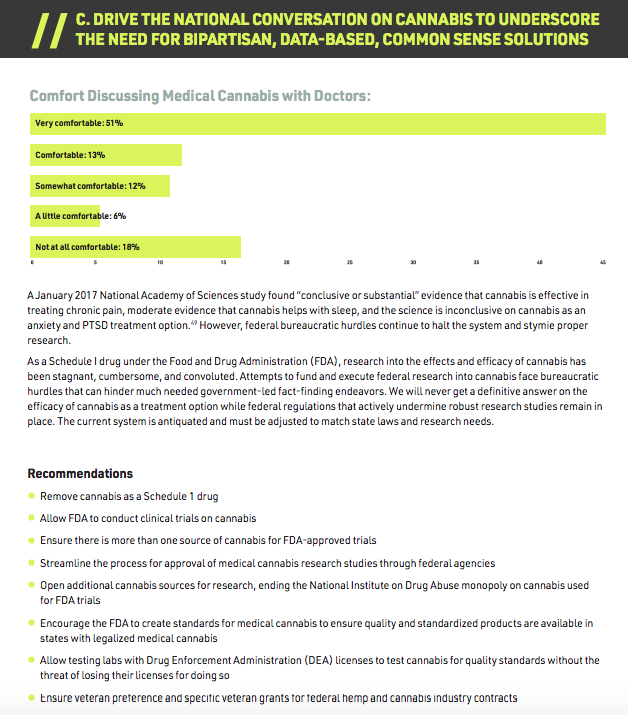 For years, IAVA members have sounded off in support of researching medical cannabis for use in treating the wounds of war and legalizing recreational cannabis. Veterans consistently and passionately have communicated that cannabis offers effective help in tackling some of the most pressing injuries faced when returning from war. 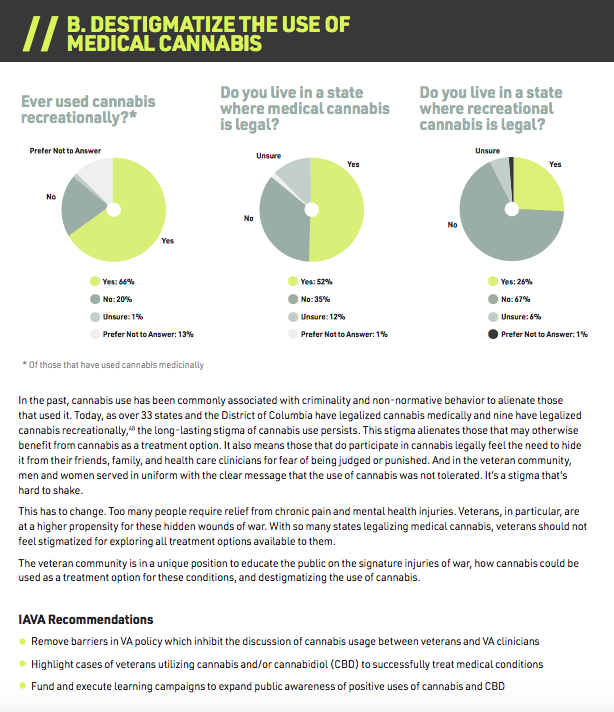 In our latest member survey, over 80% of IAVA members supported legalization for medical use.44 Our national policies are outdated, research is lacking, and stigma persists. 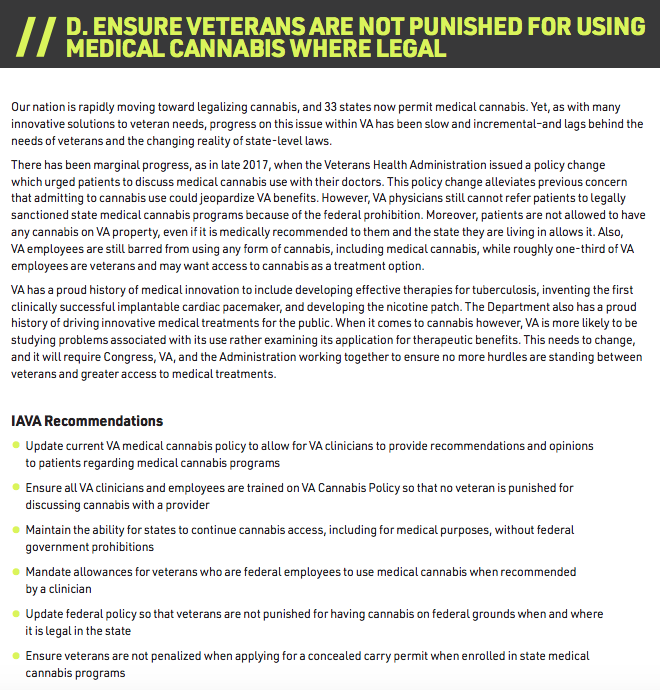 In response, IAVA members have set out to change the national conversation around cannabis and underscore the need for bipartisan, data-based, common-sense solutions that can bring relief to millions, save taxpayers billions and create thousands of jobs for veterans nationwide. 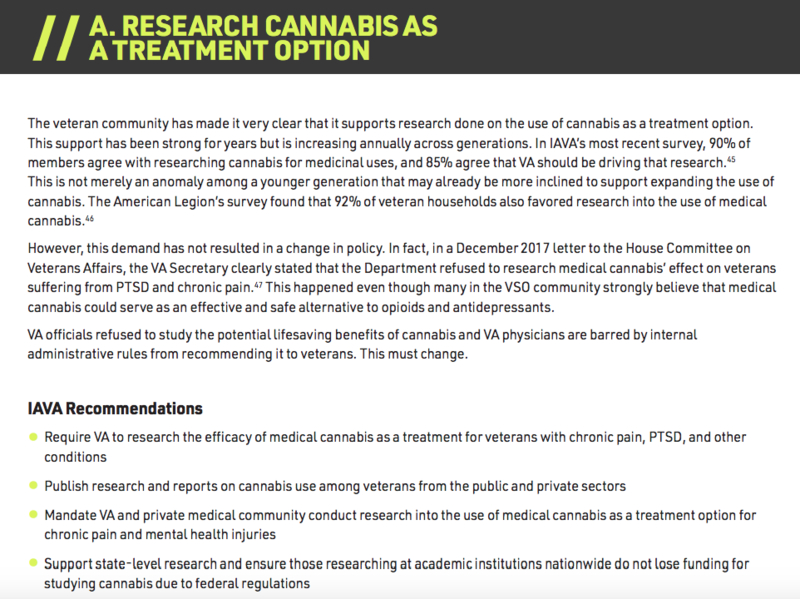 America is entering a new era in the cannabis debate and IAVA will be leading it to ensure that veteran needs are protected, supported and elevated.